Madini brings together a group of high profile, experienced, African focused mining entrepreneurs and operators with a proven track record of delivery. The core of the team has worked together for many years and has historically been responsible for the development of a number of small and large scale mining projects both on the African continent and beyond. The team’s high degree of ownership ensures effective alignment with the interests of all shareholders and stakeholders. Iain Macpherson is a seasoned mining executive with over 30 years’ experience in senior management and executive roles in both the junior and major mining sectors. In the junior sector he operated in senior operational and executive roles in Western and Eastern Europe and Russia including the development of three new mining projects before moving to South Africa as UraMin’s Chief Operating Officer and subsequently CEO. 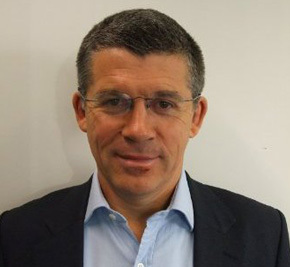 From late 2009 to July 2014 he was Chief Executive Officer of Elemental, building the team that has taken the project through exploration into project development and raising the finance to support the successful fast-track project strategy, delivering an on-time and on-budget advanced pre-feasibility study in September 2012. 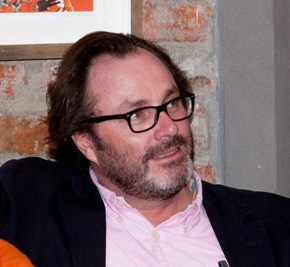 In late 2014 Iain co-founded Madini with a group of similarly experienced mining professionals focussing on African near cash high margin mining projects. Iain has always retained a strong focus on building and developing capability within the teams that he has put together, a feature that he maintains is one of the key pillars to success. Ilja is a former journalist and business news editor who has spent the last 14 years in various investor relations, communication and strategic development roles, primarily in the mining industry. He left Business Day as Companies and Markets Editor and worked for a number of mining companies in investor relations and strategic development roles, while also holding non-executive board positions at Emperor Mines, Goldmoney.com and Rand Refinery Limited. Ilja joined Iain at Elemental Minerals in January 2012 developing the IR and communication position while also assisting with corporate development and financing. His commercial focus has been on both the equity and debt markets and assessing those in line with his corporate development responsibilities and evaluate the strategic opportunities afforded to the companies he has worked for. Ilja co-founded Madini in late 2014 dedicating his time fully to the new venture. He is also Regional Director for London based CMi2i, a company that specialises in Capital Markets Intelligence and Proxy Solicitation services. John is a senior geologist and a highly qualified registered professional scientist with almost 35 years of experience as a mine and exploration geologist and latterly as a senior mining executive with operational and corporate responsibility, both in operations and new business. He has served as General Manager of a number of producing mines as well as Managing Director of mining juniors, both private and listed. He began his career as a geologist in the South African deep level gold and platinum mines. His specific focus has been on mine development and management. A focus on bringing resources to bankable stage has dominated his career. John has also operated extensively across Africa and South America in both precious metals and industrial minerals. He has a proven capability of setting up new businesses in foreign districts with the track record of delivering not only mineral resources, but also in developing those resources into commercially viable operations. More recently, John has focused on revitalising historical mines and resources within Africa and specifically East Africa. His current focus is on smaller, but high value distressed operating mines and historically operated resources currently being mined by artisanal miners, both requiring capital injection, right-sizing and development. During 2014 he joined Madini as partner with a strong focus on business development and technical management. Mr. Serge Ngandu has over 34 years’ experience in the African mining industry. His experience spans over various commodities namely copper, cobalt, zinc, gold, platinum and uranium covering mineral processing plant design, commissioning, operating processing plants and project management. He held senior management and executive roles in private and listed companies. In his early years, Serge acquired extensive operational experience on large copper and gold mines producing 1.5mtpa of copper concentrate and 24tpa of gold respectively. As Associate and Director of Industrial Minerals of Hatch from 2004 to 2006 with diamond, titanium and coal in his portfolio, Serge oversaw capital projects. He also restarted the Kolwezi Concentrator at DCP sarl, a subsidiary of Nikanor, in his capacity as Chief Operating Officer-Metallurgy in DRC from October 2006 to May 2007. As Project Director of Areva Resources Centrafrique from 2008 to 2012, he was responsible of the Bakouma Project that saw the doubling of its resources under his leadership. As Chief Operating Officer from May 2011 to March 2012, Serge established Ferrum Resources exploration operations in Sierra. Leone. From 2012, as Business Development Executive at WorleyParsons, Serge focussed on a number of project development opportunities in West Africa (Mauritania) and Central Africa (DRC). 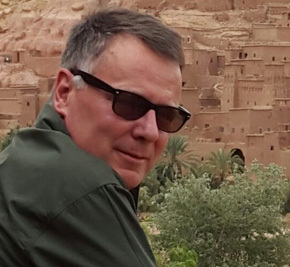 Serge operated mostly in Africa (West, Central and South) with a short spell in France with a strong focus on mining operations, projects and management of expert teams in the delivery of asset optimisation. In 2016, Serge joined Madini as a partner focussing on business development and metallurgy. 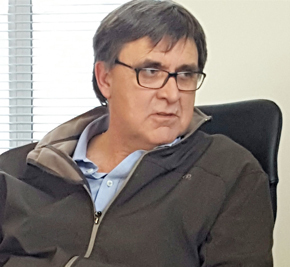 Roger started his career as a geologist working for both British Petroleum and Anglovaal Mining in Botswana and South Africa, focused on coal and gold. Following the completion of his Master’s Degree in Hydrogeology, Roger transitioned into the financial world, working initially as a trader, then researcher for the World Gold Council and then as both a mining analyst and mining sales specialist. Roger moved into senior investment banking management advising companies on capital markets across a number of jurisdictions and stock exchanges, capital raises and general corporate strategy, always maintaining a strong focus on Africa and the natural resource opportunities the continent presents. Roger was most recently CEO of the London office of Dundee Capital Markets and MD of Investment Banking. Over his 22 year career focusing on mining equity capital markets, Roger has worked with close to 50 companies to raise many billion dollars in equity capital. Notable deals range from $1.5bn for Xstrata’s 2002 IPO, $500m in 2007 for Aricom, the Russian iron ore developer, $120m for Petra Diamonds in a transformational deal in 2009; $98m for African Iron in 2012 (which was taken over by Exxaro within a year at a 90% premium to listing price). Many deals have been repeat financings, including four financings for Trevali, the TSX zinc developer. These raises have allowed Trevali to transition from a developer to a two mine zinc producer. Roger has a record of adding quality long term investors to companies’ share register, who provide long term repeat financial support for growing companies. Rob has over 20 years of finance experience specifically focused within the mining industry and general investment in Africa. As a Chartered Accountant he has been involved in many aspects of corporate and finance activity and has held executive and senior positions with a number of companies, as well as served on a number of public and private company boards. He received his B.Com and CTA degrees from the University of Cape Town and completed his articles with Deloitte and Touché in 1993. Following this he became financial director and a shareholder in a cosmetics company called Justine Beautilabs. During his tenure they sold the business to Avon – the largest direct selling company in the world. He then became the financial director of Privest Group Limited and was instrumental in the company’s listing on the Johannesburg Stock Exchange in 1998. In 2000 he became the managing director of the group’s major subsidiary and served in this position until 2002. 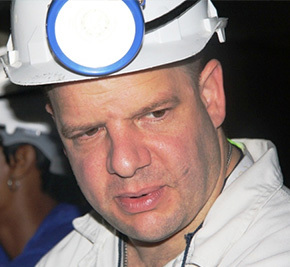 After leaving Privest he became a shareholder and financial advisor to an exploration mine in Zimbabwe. In 2003 he joined African Mining Investments Limited, a mining company in the Democratic Republic of the Congo. He then later joined Uramin as General Manager for South Africa and then CFO – Africa. Rob left Uramin in the position of General Council to the Managing Director. He then joined Lonrho in March 2008 as country manager South and Southern Africa and was responsible for the businesses in the region. These included diverse industries such as hotels, construction, IT, water purification and agriculture. Rob spent some time at Sekoko, a coal mining junior, in 2011 as CEO and left to pursue his own interests which is a diversified investment company focusing on Africa called ISO Africa Limited. 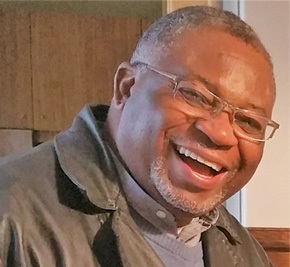 He is currently a non-executive director and shareholder of an agro-processing business called Dynamic Intertrade (Pty) Ltd and he is also Chairman of a business supplying products to the mining and hydrocarbon industries in Africa. He was also a non-executive director of William Tell Holdings Limited a wood based company listed on the Johannesburg Stock exchange.